BAE Harrier Revell Good review, except for cockpit interior, according to magazines. BAE Harrier Trumpeter 2229 Planned for 2003. BAC Lightning F2A/F6 Echelon No 3 Multimedia, good review according to magazines. Boulton Poul Defiant Scratchbuilders 97001 Kit in resin, vac and whitemetal. Decals for both day and nightfighter versions, also sold seperately as 97001-01. Bristol Beaufighter Mk IF Revell 4660/ 4755/ 4756/ MIL Tech 0251 / RG0251 It's a nice kit, and judging from the parts, there has been or will be a Mk Ic version available. A Mk VI could possibly be build from this kit, with just minor modifications, but other marks will demand quite some work. I have three copies and am working on one for conversion to a Mk II with Merlin engines. Revell have made a nice kit here, but the interior is a little simple. Bristol Beaufighter Mk VI & X Modelcraft Canada 32-251 I have one of these as well, and it includes a complete Revell kit, new decals, VAC parts for a new Radarnose, torpedo dihedral tailplane and new clear parts, with the other style of observer canopy with room for the Vickers K-gun (Not included). De Havilland DH 88 March Models 32004 This is a racer built forthe MacRoberson Trophy. Markings for three machines, kit is resin, Vac canopies and whitemetal. De Havilland Mosquito Mk 4b Revell H-180/ 4458/ 4746 I have two of these kits, and I think that they are fairly nice sets, but the clear parts and cockpit interior leaves a little to be desired. 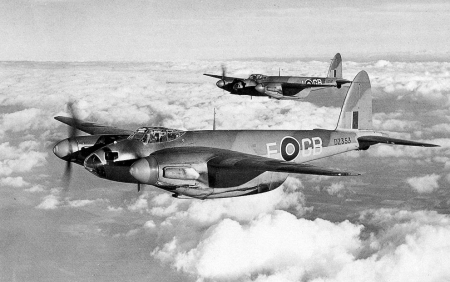 Paragon have made several add on or conversion kit for the Mosquito, and they are a great improvement in most cases. Revell Mexico 180 Identical with Revell kit, with different decals - I have had one. Modelcraft MT-018 Identical with Revell kit, with VAC form parts and different decals. De Havilland Tiger Moth Matchbox 40505 /PK0505 I have an example, a nice kit, but the rigging isn't for beginners. Plenty of parts and small details, both civilian and military versions, float plane, ski equipped or normal wheels as options. De Havilland Sea Venom FAW 22 Matchbox 40506 A fairly good kit, I've had two and there are plenty of detail and small parts, fit seems fairly good. De Havilland Sea Venom FAW 22 Revell 4709 A reissue of the Matchbox kit. De Haviland Sea Vixen FAW 1/2 Panther Production Models 32-002 (?) Planned issued in 2006, VAC form with possibility for resin and decals. Fairey Firely FR-1 Panher Production Models 32-001 VAC Form with a little resin. Further resin detail parts and decals can be ordered seperately. The copy I have is nice looking, but I can't speak of fit just yet. Hawker Hunter F Mk-6 Revell 04727 A very nice kit with exceptional decals for RAF, Belgian and Netherlads planes, plentiful and nicely printed. The parts are broken up in a way that leeds one to believe that other versions could be planned. A two seat for instance. This is the seccond version with diffrent parts for the without room for a braking parachute and flaps without the cutout for the bigger tanks found on FGA-9's. If one has to remove the corners in the lower wings. The pictures don't show if there are other differences. FGA 9 / MK 58 Revell 04703 A very nice kit with exceptional decals, plentiful and nicely printed. The parts are broken up in a way that leeds one to believe that other versions could be planned. A two seat for instance. 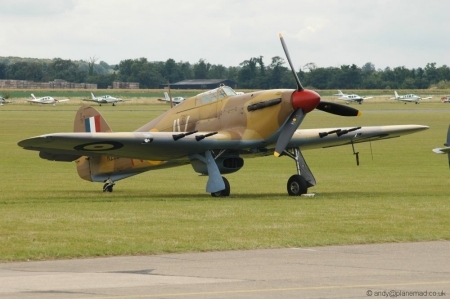 Hawker Hurricane IIC Revell / Monogram 4776/4667 I have two kits. They'r fairly nice kit with some riveting though. (Issued 1988) The Revell Monogram kit has the tropical filter included, and except from that the frames are exactly alike! Did someone mess with my Revell copy? One thing though, the "Pure" Revell has decals from B�nde while the RV-MM has american printed decals, The German decals are nicely coulored, silky matt surface and a lot of stenciling, and the american ones are rather sparse in stencilling and shiny too. (Issued 1998 but carries a 1971 copyright). The reconfiguration of the wings into the C type is poorly done,the gunbays are still those from the A wing with machineguns, and the nose on a Mk II is somewhat longer, another detail not shown in this kit, you'll need to lengthen the nose appr. 5 milimeters. Hawker Sea Fury Hobbycraft Canada HC1716 Cold War Warrior. I'm looking forward to seeing this model, as it in my opinion is a nice plane, but the other kits are either hard to find, or expensive. Hawker Sea Fury Hobbycraft Canada HC1717 Dessert Fighter, probably nearly identical to HC1716 and HC1718. Hawker Sea Fury Hobbycraft Canada HC1718 NATO Defender, probably nearly identical to HC1716 and HC1717. Hawker Sea Fury FB 11 Fisher Models N/A Resin kit, the parts looks very very nice, with a well detailed cockpit and wheelwells.The parts breakdown is well thought out and done, the engine is nice - as long as the cowl is cept closed, as only the forward row of cylinders is detailed.The propellor comes with a master to assist in getting the correct angle to all blades. I want one, the only thing stopping me is he price. Hawker Tempest ID Models VAC Form, not to impressive. The two I've seen was typical ID models, with very few details and parts. One was even made so close to the edge of the sheet, that part of one wing was missing. Hawker Typhoon Ib Revell RG-0266 / 85-4663 /4782 I had no less than three kits, my plan was to convert one of them to a Tornado and one other to either a bubbletop, or use for detailing an ID models Tempest. An older kit, but it seems nice to me anyway. They ended up As a Tornado, a Dessert Tiffie and a D-Day Bubbletop. Se the pictures here. Henshaw Mew Gull March Models 32002 This plane was built for participation in races like the Kings Cup and The Cape Dash. Markings for two planes, the kit is resin, Vac canopies and whitemetal. Royal Airraft Factory SE-5a Roden 602 With Hispano Suiza engine. Sopwith Camel Academy Minicraft AC 2189 Supposedly a reissue of the Canadian Hobbycraft kit. Supermarine S-4 racer Aerotech / March Models 32007 Schneider Trophy racing plane. Supermarine Seafire Mk Ib Revell 4780 Also possible to build as Spitfire Mk I, II or Va or Vb including Vb Tropical. Supermarine Spitfire I Revell 4555 Lone Eagles - Basicly the same kit as above, but without the large tropical airfilter. Supermarine Spitfire I/II Revell 04715 Early Spitfire, reissue of Hasegawa's Mk Vb with new wings. 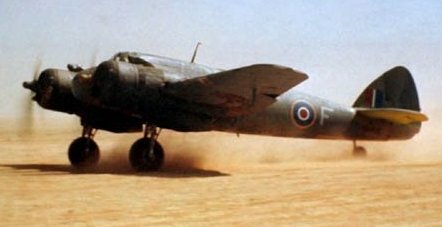 Contains three different wingtips, three different three bladed and one four bladed propellors, four spinners, Slippertank, Abukir and Volkes filters as well as the standard airintake and two different canopies. Lots of spares for conversions and replacements. Supermarine Spitfire I/II Hasegawa 08134 / 08164 Same as above, but Hasegawa has removed most of the extra parts. 8164 is marketed as Mk II only. Supermarine Spitfire II Revell 4773 Basicly the same as 4555 and 4780. Supermarine Spitfire Vb Hasegawa 8052 / ST02 / 08160 I have a sample of this very nice kit that gives a choice of clipped wings or elliptical ones. Three different air filters, a Volkes for early dessert (Or an early Sea Fire), an later Tropical or the standard air intake. 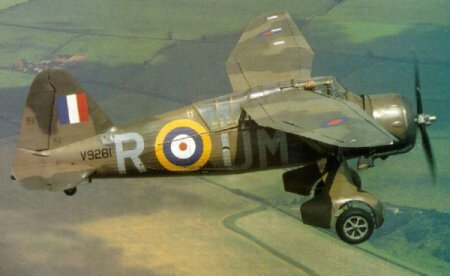 Supermarine Spitfire Vb Revell H-281 Decals for a US Squadron in North Africa, Basicly the same as 4555, 4773 and 4780. Supermarine Spitfire VI Hasegawa 8019 / 8082 Same basic kit as Hasegawas Mk Vb, but here with extended wingtips and four blade propeller. Parts specific for Mk V are removed. Supermarine Spitfire 22/24 Matchbox 40501 /PK0501 A very nice kit with lots of interior details. General outline is good, and parts fit is resonable, but the panel lines are a bit course (Deep). Both Cockpit and wheelwells can use some detailing. 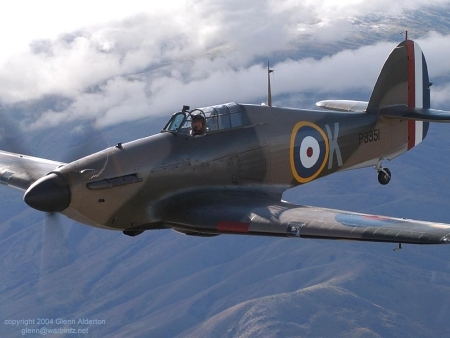 Mine is converted to a Seafire F Mk 47. Supermarine Spitfire 22/24 Revell 4704 Reissue of the Matchbox kit. Westland Lysander I/III Matchbox 40504 /PK0504 I have a kit and find it a very nice little kit, options for three different planes. Westland Lysander Revell 04710 I have one kit, reissue of the Matchbox kit. Moulding is a little different, with more sync, maybe the moulds are showing their age, or the plastic is different.